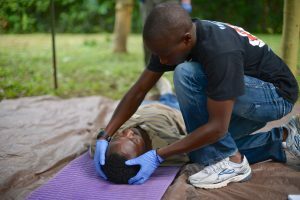 Once again, in 2017 African Environments is excited to host Sentinel Outdoor Institute and a program of first aid and wilderness medicine training courses. From one day Basic First Aid through to the internationally recognized, 10-day Wilderness First Responder the courses aim to prepare guides, drivers, camp managers and the general public for emergency situations that can occur in the wilderness. SOI 2017 TZ Course Catalog.